The newest area of online based digital marketing, Remarketing also known as Retargeting is the method of bringing consumers back to your website after visiting. It can be done a number of ways on a variety of platforms. Imagine visiting the BMW website because you are interested in the new 4 Series. You then go to YouTube and see an ad for the car at the side of the video you are watching. This is Remarketing using the Google network of display properties. Google and Facebook offer very effective systems where a small piece of code or a tracking pixel is installed on your website. When a visitor is located on any of the targeted sites then your ad is served. You can also target email lists you have and audiences set up in Google when users land on certain pages. We will set up your Remarketing campaigns within existing PPC networks. 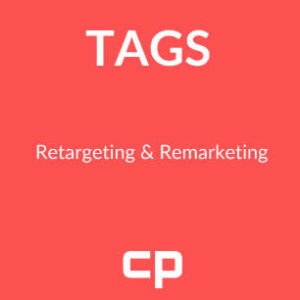 Work with you to install Remarketing through Facebook using your tracking pixel. Suggest types of ads to use whether text or display. Work with you on methods of targeting, on the fly, through audiences and email lists. Work with you to suggest other display properties that may be of interest such as Criteo. Decide on the best bidding method for your company CPC (Cost per click), or CPM (Cost Per Thousand Clicks).